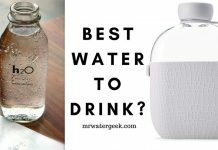 Here Is The Best Water Dispenser But Is It WORTH The Cost? 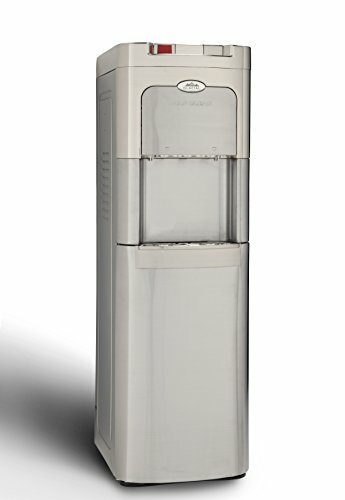 Home Water Dispenser Here Is The Best Water Dispenser But Is It WORTH The Cost? Almost every office, work place and government building has some sort of water dispenser. We all know what it looks like and we have all used one. It has become such an enduring image of the office work place that everyone knows what “water cooler talk” is. However, water cooler dispensers have come along way since the 90’s. 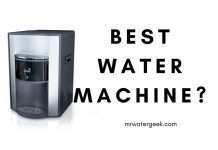 However, the best thing about using a water dispenser is how easy they are to use and maintain. It is easy to buy a standard water dispenser bottle OR pay a company a small fee to re-fill and maintain it for you. Is It Time to Get A New Water Cooler Dispenser? 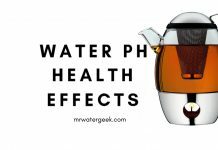 What is a Water Dispenser and Why Would You Need One? 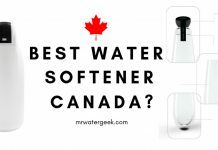 Which is The Best Water Dispenser? If you are like most people, you go to work 5-6 days a week. Everyday you walk into your office and see the same water dispenser that has been there since you started working there. It’s not as clean as it once was and you sometimes even forget it’s there. In fact, you occasionally find yourself getting water from the tap. If this is true for your office, it’s definitely time for a new water dispenser. Everyone in the office will be more than happy to see a new, cleaner, cooler and more efficient machine. 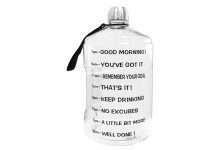 Getting a new one can also energize people to start drinking more water. As the name suggests, a water dispenser is a machine that dispenses clean drinking water on demand. A good water dispenser allows you to get whichever type of water you want (distilled, mineral, spring etc) at any temperature you want. 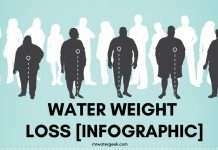 It will increase your water intake because people that have clean drinking water in view will usually drink more. 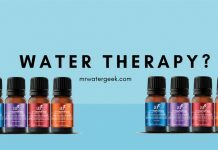 A convenient solution for getting clean drinking water in the home or office. You can hire a company to maintain the dispenser machine and deliver water to you for a very small fee. Quick and easy access to clean drinking water at the temperature you want. Getting specific models will give you boiling hot water that you can use for coffee, tea, soups, ramen, cooking etc. In simple terms, there are 3 main different types of water dispensers. 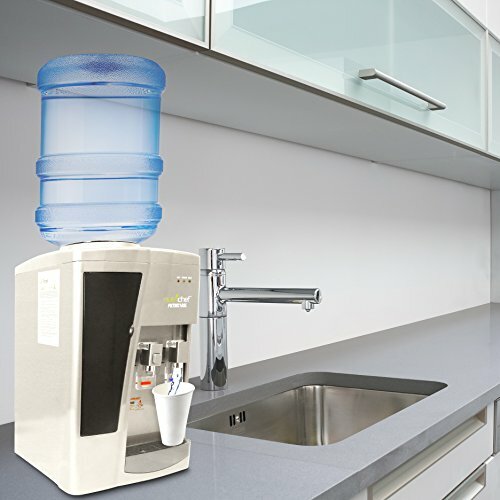 A dispenser that loads water from the top, the bottom and one that you can place on top of a counter. This is the oldest type of water dispenser that you probably remember from your childhood. 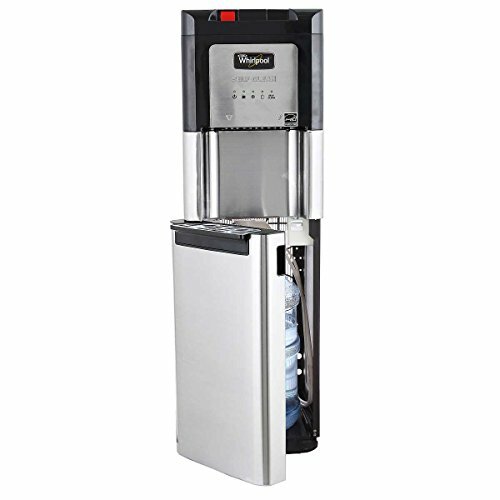 The top load water dispenser is generally cheaper, costs less to run and very easy to set up. The main stand out feature with this type of dispenser is the water jug is always exposed. This appeals to some people as you can see where the water comes from and how much water you have left. Top Load Water Dispenser Directions: All you need is a three or five gallon water jug, put it on top of the dispenser and plug it in. 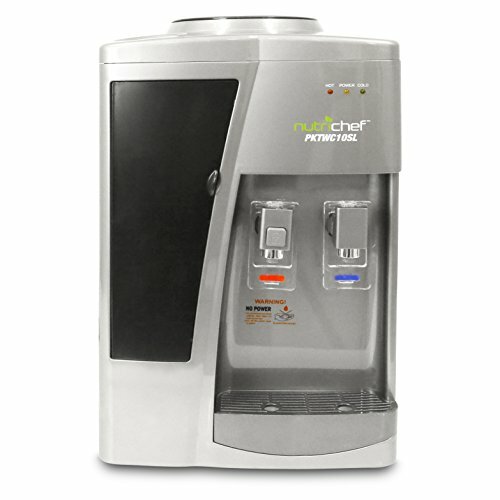 This is by far the most popular and best selling type of water dispenser available today. It has a sleek modern look. You will never see the water jug because its hidden inside the bottom load water dispenser, behind “closed doors”. The newer models will also have 2 or 3 tap faucets offering you hot, cold and room temperature water. Bottom Load Water Dispenser Directions: You can use a standard three or five gallon water jug, simply slide it into the bottom and switch on the machine. The countertop water dispenser is a lot less common because it is a lot more traditional. You won’t get any fancy hot, cold features with this unit because it is often non-electric. However, what it lacks in technology it makes up with charm so is ideal for those with a keen eye for design. It will also stand out because it’s not very common and it can fit anywhere because it doesn’t need electricity. 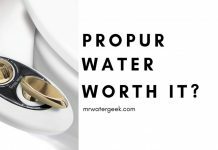 Get an equally classic vintage water dispenser stand to complete the look (see: WORST-Kept Secrets About The Porcelain Water Dispenser Stand). 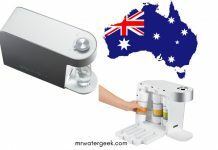 Countertop Water Dispenser Directions: Find an appropriate area to place the countertop water dispenser. Choose carefully because there will probably be water splashes at some point. Pour water into the container (at the top) and that’s it. You can now dispenser water as you wish. How much space do I have and where is this water cooler going to go? How will I maintain it? 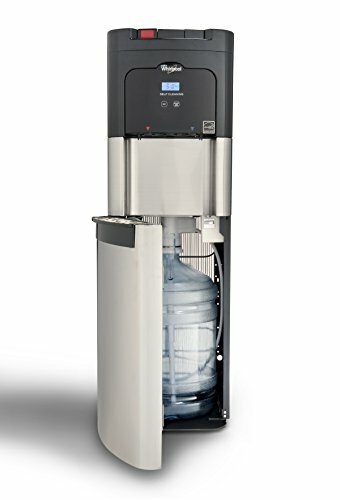 Will I regularly buy replacement water dispenser jugs or pay a water company a weekly fee to maintain it for me? Which features do I need? 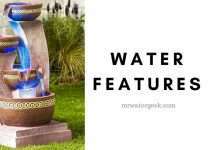 Is the hot water feature worth the extra cost to me? These are just some of the questions that come to mind. 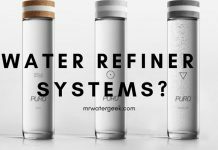 Let’s take a closer look at each important area of consideration to help you really get the right water dispenser for your home and needs. 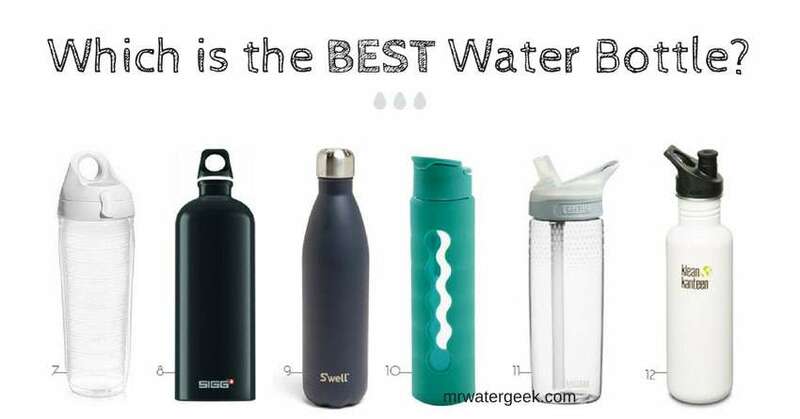 Which type of water dispenser do you have space for? Most people would opt to put their dispenser in their kitchen but are you better off putting it in the living room? In your bedroom next to your bed? Studies show that having a water cooler in your constant presence makes you more likely to drink more water. Once you’ve decided where it will go, do you have enough space? Not just for the dispenser but enough space to change the water gallon jug. Also, is this a space that can withstand any water splashes? So for example, this is not ideal for somewhere with carpet but perhaps somewhere with laminate flooring that can easily be mopped up or wiped clean. This follows on from the previous point. It is worth getting a tape measure out and working out if the dispenser will fit where you want to place it. However, you should also consider which size of gallon you will buy and how long it will last. The standard gallon sizes are 3 and 5 gallons. You’re probably thinking, “well duh, gee thanks Mr. Captain Obvious!” But the truth is buying a cheaper more budget friendly model might not be worth the saving if it’s a poor machine. 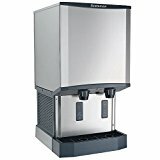 If you are going to invest any amount of money into a water dispenser then you may as well get one that is durable, maintenance free and will provide you with all the features you need. Will the hot, cold and room temperatures help you save time and money in other ways? If the hot water is constantly at boiling point, it would be a fast convenient way to make tea, coffee and soups. It also means you don’t need a kettle and the constant electricity use each time you boil it. Hot water from highly rated energy efficient water dispenser’s are more cost-effective than most kettles. Like all other home appliances, water dispensers need on-going and long term maintenance. It is important to know what maintenance your preferred models require before you buy it. This will help you avoid any nasty surprises. 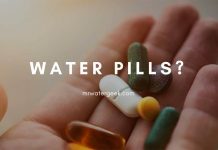 One thing that most people are surprised about is realizing they have to clean their water dispenser. It is not as hard as it might seem but it is an extra chore you need to consider before you buy one. The next section will give you the basic outline of the steps involved in cleaning your water dispenser. Here are the basic steps of what you will need to do in order to clean the standard water dispenser. First things first, water and electricity don’t mix and you don’t want to get electrocuted. So start by unplugging your water cooler if it is an electronic device that is connected to a power source. The second step is to check to see if the water dispenser has a water guard. If it does great, remove it and hold both sides before pulling out the cooler. Opening this allows you to clean any dirt with gentle washing up liquid soap and warm water. Make sure you rinse away all the soap and repeat this multiple times until you are sure all the washing up liquid is gone. Use 2 tablespoons of baking soda and 1 cup of water to rinse out the reservoir. Drain all the water out and rinse it many times. The final step is to place the new water gallon on the dispenser using the water guard kit. It is advisable to sanitize your water dispenser from time to time: To do this you should make a simple solution that consists of ½ teaspoon of bleach mixed with lots of water. Pour this solution into the gallon of water and pour this into the water reservoir. 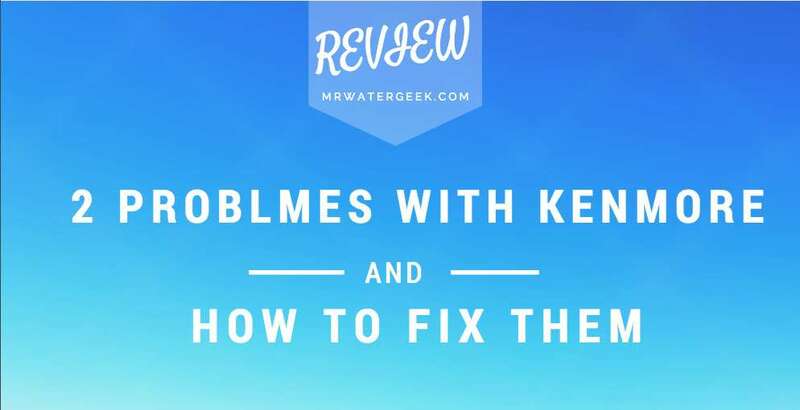 However, make sure you don’t leave the solution in the reservoir for longer than 5 minutes. Note: Does your water dispenser have 2 or more separate tap faucets? Then make sure to also drain the solution through each water faucet. Rinse immediately with water. Remember to periodically remove dirt and other debris from your water dispenser. To get a better operating machine in the long run, you can periodically disconnect the electric power supply cord. Take the power chord and clean it with the small brush attachment that comes with your vacuum cleaner. Ensuring this is kept clean means your water dispenser will run for longer and with less break downs. 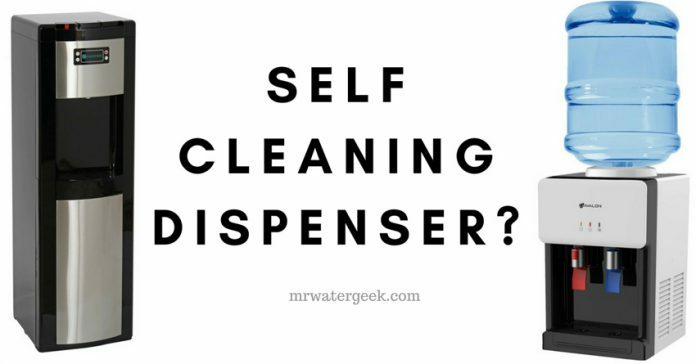 Bear in mind that if you don’t want to clean your dispenser yourself, you have the choice to buy a self-cleaning water dispenser. The NewAir WAT40B is another bottom loading water dispenser. This means that the water jug is concealed inside the machine so you can’t see it. It has a very modern black design and has a long lis of useful and practical features. For instance, it is certified BPA free, energy star rated, has indicator lights and has NSF certification. The key thing to note is that it dispenses very hot water. Hot enough for a hot beverage. However, don’t worry about young children getting accidentally burned because it has a child safety lock. Can be a little bit noisy because of its motors that work continuously to keep the hot water hot and cold water cool. Keeps cold water at an average temperature that can be as low as 39° F and hot water temperature can reach up to 185° F.
The NewAir WAT40B includes an energy efficient and powerful compressor. Helpful red lights let you know when the water jug needs replacing. Lighter and therefore more portable than other models as it only weighs 35 lbs. Has an average height of 41″ (inches), meaning it is a comfortable height for both children and adults to use. It is Energy Star Qualified (ESQ). Labeled BPA free (which is a harmful substance that comes from plastics) as it’s made from BPA free materials. 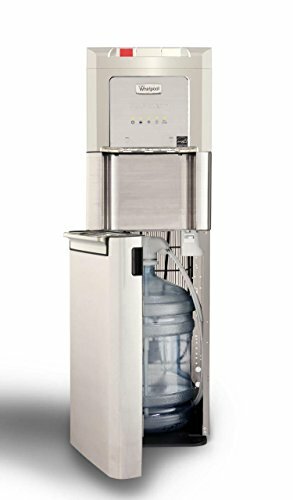 The Clover B14A is one of the most popular top loading water dispenser machines on the market today. It looks like the stereotypical water cooler you would expect to see at the office. But it is not stuck in the 1990’s in terms of features. This water dispenser provides you with both cold and hot water through stainless steel tanks. The stainless steel tanks also means it deals with water in a hygienic fashion. 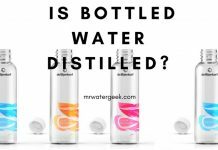 This is ideal because the water is not contaminated when it travels through the tank. This machine allows you to adjust the water thermostat. 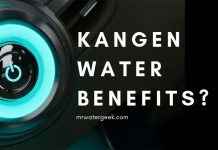 It will let you take the colder water between 35° to 53° F. However, note that the hot water is not adjustable, it stays at a constant 185° F. Making it hot enough to brew tea or coffee. 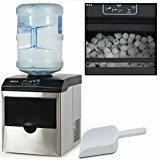 This water dispenser only needs the drip tray to be cleaned meaning it does not needs a lot of maintenance. Another great feature of this water dispenser is the hot water on and off switch. The only con I can find is the exposed water jug, which may be off putting to some people. Very light and easy to move around because it only weighs 32 lbs. Aesthetically pleasing design with black features and stainless steel. Unlike other models, the Clover B14A allows you to control the temperature of the cold water. Includes a child safety lock, which stops children getting accidentally burnt from the hot water tap. Very sturdy and durable machine as it’s made from stainless steel tanks. This also makes the water more hygienic to drink. The EPA have given it an Energy Star rating that sets very strict guidelines. Its design and features are such that it can comfortably fit into your home or office. You have the option to control whether the hot water is on or off. It has a drip tray that catches water that may overflow from the chamber. Very good at conserving electricity that eventually saves you money on energy bills. This is yet another self cleaning machine similar to the Whirlpool 8LIECH-SC-SSF-P5W. 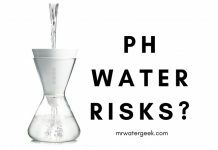 It uses “unstable oxygen” that kills things like bacteria that may contaminate your water. Water is heavily chilled cold by specific Glacial Chill technologies that use a ring of ice to ensure the water temperature is above freezing. Another outcome of this is it can produce 1.6 gallons of freezing cold water each hour. Has a nickel plated front with strong stainless steel. This makes it both durable, hygienic and aesthetically pleasing to the eye. It means it will look good in your home, office, studio or any public building. However, note that you should not always rely on self-cleaning. It can sometimes be difficult for the machine to remove mould from water. Sometimes you just need to quickly wash and rinse it through yourself. The constant water cooling in this machine can cause some low level noise. The water jug is concealed and some people find this more appealing. Unlike other water dispensers, this one has a night light. This means you can get a glass of water in the dark or at night without needing to turn on the light. The cold water is just above freezing and hot water is at boiling point which is ideal for making hot drinks. It is easy to install water jugs into this bottom loading water dispenser, just pop off the stem and switch jugs. Does not waste any water. 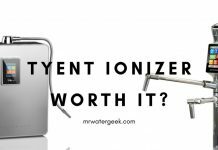 It will literally leave no more than 1 tablespoon worth of water behind from a water jug. You can use it with standard three or five gallon jugs. Professional grade compressor technology. This is a fancy way of saying that it uses around 30x less energy than other similar commercial grade dispensers. Exclusive “HotBoost technology” that is able to heat water to a very high temperature. This unit is capable of producing around 1.4 gallons of hot water each hour. The stylish look and modern features make it great for any high end office or home decor design. 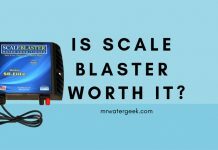 After reading all the numerous steps involved in cleaning and maintaining water dispensers you might wish there was a self-cleaning water dispenser. Well you’re in luck, there is. 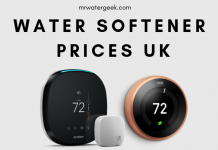 It is at the top end of all the models reviewed in this post but has so many unique features that justify this top position. For instance, although most dispensers are dishwasher safe, the Whirlpool 8LIECH-SC-SSF-P5W is self-cleaning. 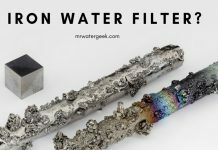 It uses features like “unstable oxygen” to kill viruses and other forms of bacteria that might contaminate your water. One of the best things about the Whirlpool dispenser is how aesthetically pleasing it is. The 8LIECH-SC-SSF-P5W has a nice sleek design made from stainless steel. It screams luxury and sophistication and is a personal favourite of mine. Only offers boiling hot and freezing cold water, no water at room temperature. 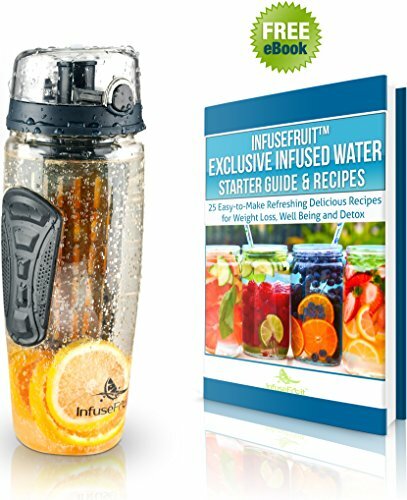 Although you can dispense water into a water jug and let it naturally cool to room temperature. This model is the 5th generation design so you are getting the most up to date version with few issues. It has LED lights that lets you know it is self-cleaning. The LED lights also let you know when the water is at its hottest and coldest. It provides hot water that is boiling hot, making it good for a cup of tea, coffee, soup, cooking etc. 9° F is when water is at its coldest, which is well below freezing. Very strong durable design, the claim is that a person weighing 300 lbs can sit on it without breaking it. Quality high grade stainless steel that not only looks good but makes it last longer. This machine is also likely to outlast water dispensers from the other brands because the compressor is not always on as it has a separate cooling system. 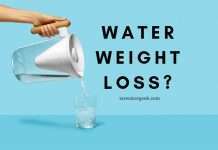 It is able to use 3 or 5 gallon water jug sizes. The market is full of very good water dispensers. However, finding the right one is all about thinking about a number of key factors. Size, features, how easy it is to use, maintain and clean. My favourite water dispenser is the Whirlpool 8LIECH-SC-SSF-P5W. It provides you with freezing cold and boiling water at the same time. 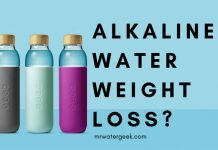 This saves time, energy and effort on using things like ice-cubes, refrigerator filters and even kettles. The Whirlpool is also the most aesthetically pleasing of all the models I’ve seen. Stainless steel, slick and edgy look that will look good in almost any home decor. Oh and did I mention that it’s self-cleaning? This is a 5th generation model meaning it’s battle tested and the most advanced version of a popular model. 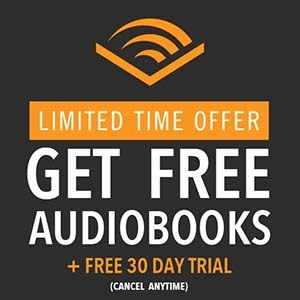 A great fit in any modern office, studio, kitchen or living room. 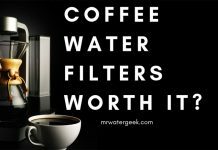 It will get you drinking more water, impress clients or friends and is the best water dispenser available today in my eyes. 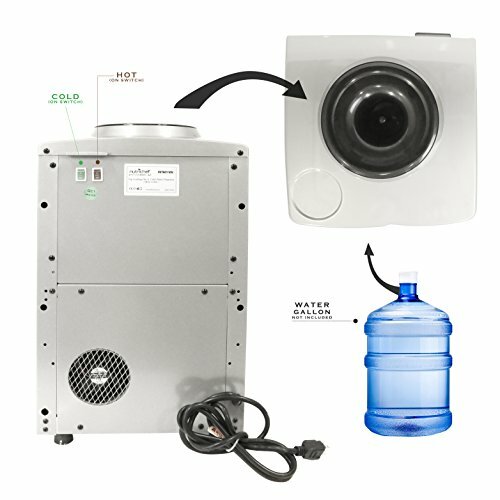 Is It Worth Getting A Water Machine For Home? Hey, thanks a lot for sharing this information. I really loved the way you presented your article. Simple yet equally effective. This is surely an ultimate guide to the world of water dispensers. Truly, cleaning and maintaining the water dispenser is a really tedious task to perform. I myself had a water cooler dispenser and taking time to sanitize this appliance was a task itself in the first place. In this fast-paced life of ours, its really tough to take out time for such things. I think this self-cleaning add-on feature is going to be a huge success. I will surely love to invest my money in this worthy appliance. Thank you for the lovely feedback. I’m glad you enjoyed the article. 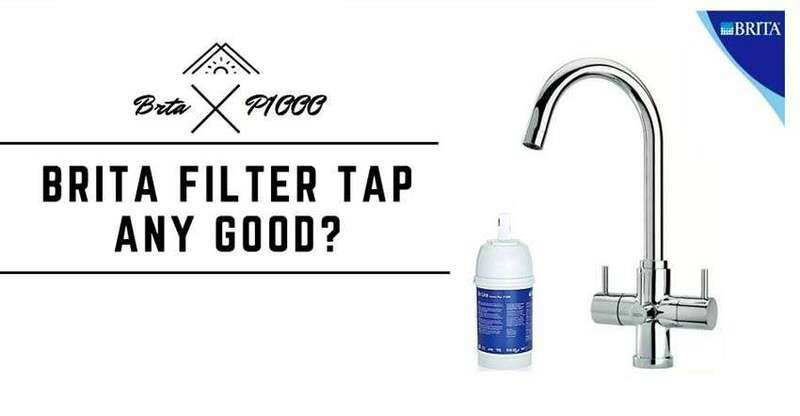 Water Filter Replacement: Clean It Or Throw It Away? 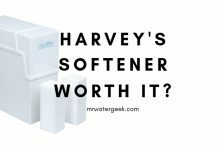 Hahn vs Aquasana: Both Models Compared, Which Is BEST? 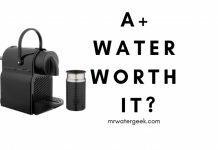 Is The AlexaPure Pro Really WORSE Than The Big Berkey? 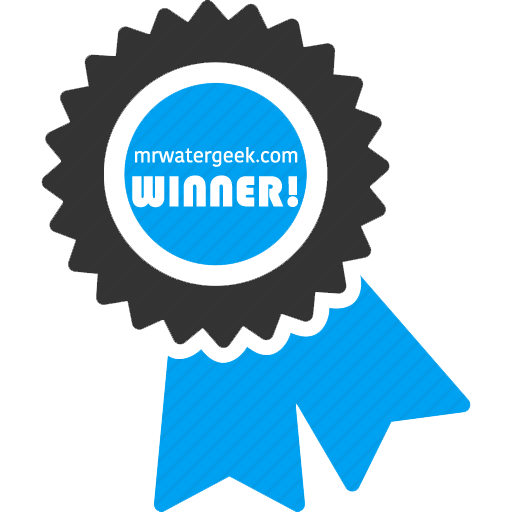 Are Under Sink Water Filters WORTH the Cost? 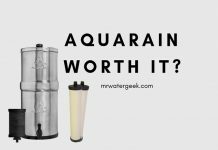 AquaTru Water Filter Review: Should You Believe The HYPE? 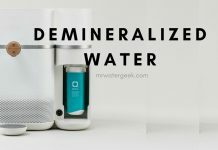 ZeroWater Review: Should You Believe The HYPE?